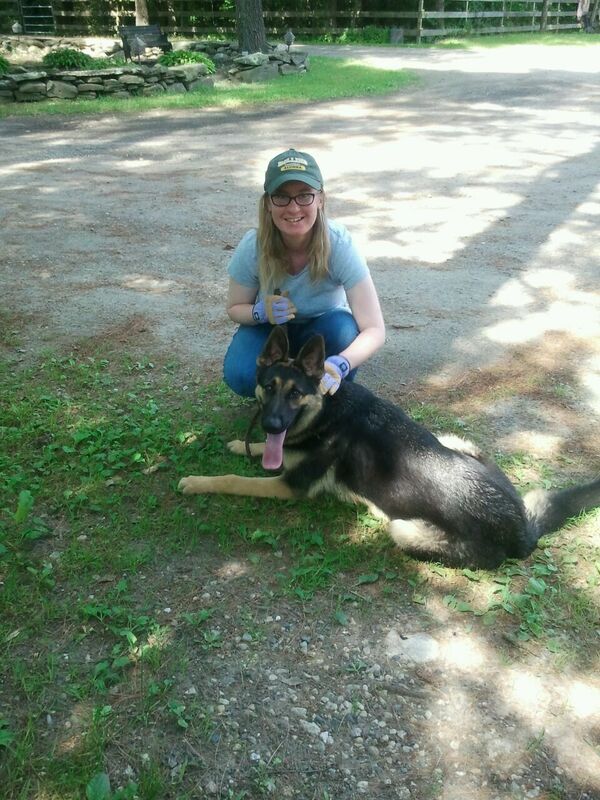 After I finished work in Plymouth on July 17, 2013, I rushed home to get changed and drove over to a farm/kennel for 6 PM. There I handed over a check for $500. In return, I got a scrawny, black and tan German Shepherd. He was ten months old and named Sampson by his first owner. The two years since then have been nothing short of an adventure. Sampson likes to work. He’s flashy in his obedience, athletic enough for makeshift agility courses, and bounces whenever he sees a tennis ball. Add in a stubborn streak, and I’ve got my hands full. But Sam is fun. Even though we’ve still got work to do with his manners around new people and out in public, he’s a fantastic pet. Always tolerant of hugs, a persistent shadow, and ready to help me eat whatever’s on my plate. He’s also a cuddler, which is weirdly exciting for me. Neither my first dog nor Grace did/do so. Grace demands to be pet or she’s out of there. Sampson is simply content to lay his head on me and be by my side. While looking back through the photos on my phone for this post, I was struck by how much he’s grown. He was all leg and not much else. Now he’s almost a different dog. Here are a few pictures of him from the past two years.